Whether your business receives water from the city or sources it privately – from a well for example – it’s important to check water quality regularly. You may choose to source it privately, as public water is notorious for being excessively “hard” (too many grains per gallon). Hard water is harmful in industrial process water use, as it can lead to scale damage in boilers, leading to unnecessary overhead expenditures. Depending on the specific industrial usage for process water, and the extent to which the water is integrated with a given product, requirements pertaining to quality can vary. In industries such as food processing, skincare and healthcare, water standards are very strict, and high-quality process water is required. 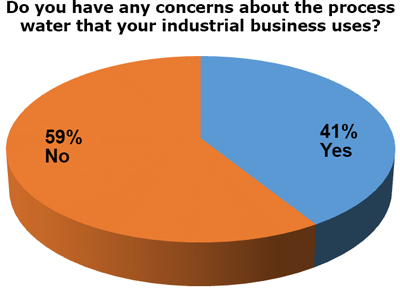 One hundred people who work at a variety of industrial businesses were recently surveyed. They were asked to offer their opinions about the process water that their facilities use. (This was an anonymous survey.) 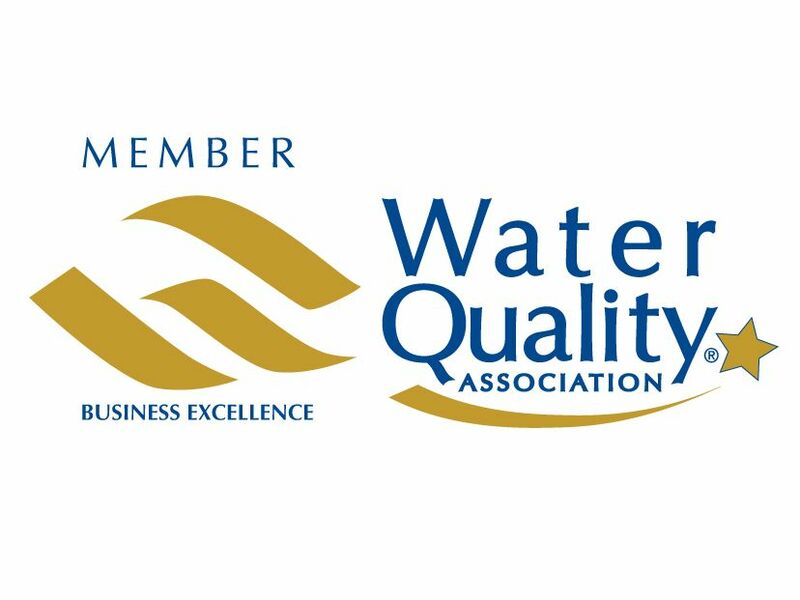 We found that 41 of the 100 individuals surveyed, voiced concerns with water quality. Six of the respondents ranked their water quality as a “1” (on a scale of 1 – 5, 1 being worst), and seven of the respondents scored their process water as only a “2”. Improperly Filtered: High quality water is indispensable for many businesses, so naturally properly filtered water is a must. Our survey found that a concern with filtration ranked as one of the biggest worries. 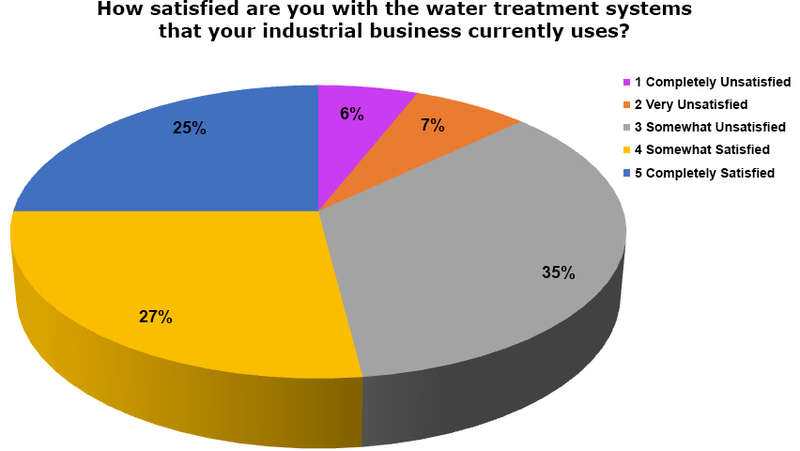 Environmentally Sound: Some survey respondents noted the importance of regular maintenance of factory equipment and mentioned that meeting state and national water quality standards is also cost efficient. They mentioned the extreme importance of having a process of creating environmentally safe water from used process water. They mentioned concerns about whether water is wasted and whether industrial wastewater is contaminated when introduced back in the environment. If you suspect your process water or industrial wastewater contains pollutants – if it smells funny or has an orangey color (as some of our survey respondents noted), it would be prudent to consult with an expert about installing one or more proper industrial wastewater treatment solutions, such as industrial water filtration systems, chemical-physical processes, etc. Before reintroducing effluent to the plant’s surroundings, it is absolutely essential that the water be properly decontaminated. Culligan understands that a consistent flow of high-quality water is vital for numerous industrial processes. Culligan offers many industrial water treatment options such as reverse osmosis, softening, ion exchange, deionization, multimedia filtration, and more, to produce high-quality influent for reliable production. With one of the fastest timelines from design to installation, Culligan stands out by delivering advanced customized water treatment to all manufacturers valuing consistent production. Culligan has a number of pre-treatment solutions that are used to increase the lifespan and improve the performance of industrial process water equipment. Culligan Engineers will help you determine which combination of solutions best meets your needs. Culligan recommends filters to reduce turbidity from water, adsorb odors, neutralize acidity, and reduce heavy metals. Properly filtered industrial process water can minimize blowdown for substantial cost savings. These solutions are designed to complement your overall water treatment processes. Culligan Engineers will conduct an on-site water analysis to avail themselves of the necessary data, in order to design an effective cleaning/maintenance program for your industrial process water system(s).